You may not be familiar with Robert Sheehan, but you’ll want to know everything there is to know about the Irish actor when MORTAL ENGINES hits theaters in December. There are a lot of reasons to be excited about the highly-anticipated fantasy movie. 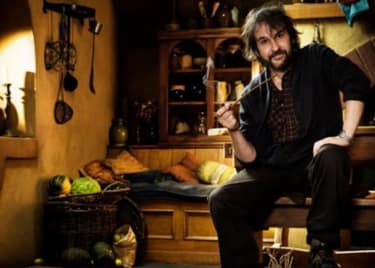 THE LORD OF THE RINGS director Peter Jackson produced this adaptation of the beloved novel by Philip Reeve. It takes place in a post-apocalyptic future where entire cities now move around on wheels and engage in epic battles. One of the heroes of the story is a young man named Tom. Sheehan plays the character in what will almost certainly be his big breakout role. 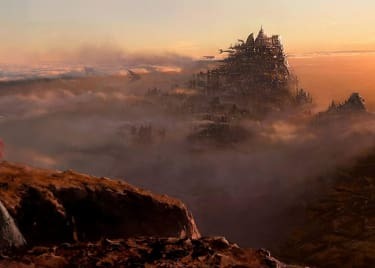 Before MORTAL ENGINES rolls into theaters, we’ve put together a handy guide featuring everything you need to know about this up-and-coming star. Sheehan hails from Ireland. The youngest of three kids, Sheehan showed promise at an early age. He played numerous musical instruments and participated in a prestigious music competition before going to primary school, where he first showed an interest in acting. Sheehan landed his first movie role at the age of 14, in the 2003 Irish historical drama SONG FOR A RAGGY BOY. It’s usually not the most promising sign when people drop out of school. Sheehan’s successful journey, however, didn’t truly begin until he left film school at the age of 17. Sheehan quickly began to make a name for himself with parts in movies like CHERRYBOMB (with HARRY POTTER star Rupert Grint) and SEASON OF THE WITCH (with Nicolas Cage). He appeared in notable TV productions in the UK, including the beloved sci-fi teen show MISFITS. He was also in the acclaimed crime miniseries RED RIDING, based on David Peace’s bestselling book series RED RIDING QUARTET. Sheehan followed up with roles in the 2013 film MORTAL INSTRUMENTS: CITY OF BONES and the hit British TV movie THE BORROWERS. In 2015, he reunited with Rupert Grint for the indie comedy MOONWALKERS, based on conspiracy theories about the moon landing. By this time, Sheehan had built a sizable following to go with his impressive resume. And yet he still wasn’t well known outside the UK. Things began to change in the past couple of years, as Sheehan landed more high-profile roles. After starring opposite Gerard Butler in the 2017 sci-fi action flick GEOSTORM, the offers really started to roll in. In 2018 alone, Sheehan has appeared in numerous TV and movie projects. He co-starred with Paul Rudd in the Netflix sci-fi movie MUTE, from WARCRAFT director Duncan Jones. Sheehan also appeared in the horror-thriller BAD SAMARITAN, with David Tennant. On the small screen, Sheehan starred in the National Geographic series GENIUS: PABLO PICASSO, in which he played a young artist who becomes friends with Antonio Banderas’ Picasso. This handsome young Irish actor is primed for the big time with roles in two high-profile projects. Sheehan landed a starring role in the new Netflix series UMBRELLA ACADEMY, based on the popular comic books about a dysfunctional family of superheroes. The series also stars Ellen Page and Mary J. Blige, and will premiere early next year. 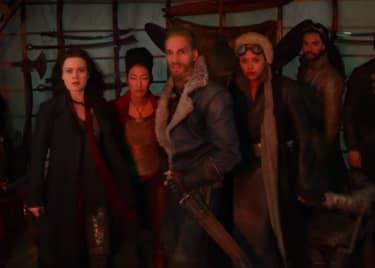 Most notably, Sheehan plays a lead character in MORTAL ENGINES. Set in a post-apocalyptic future where cities run on engines and fight over scarce resources, His character, Tom, is a young London native who has never been outside of his own traveling city. Everything changes after a chance encounter with a woman named Hester, and the two are kicked out of London and forced to team up with a group of resistance fighters. 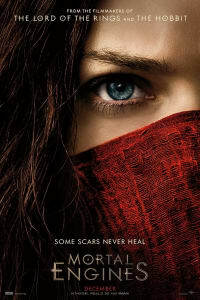 MORTAL ENGINES opens on December 14.